Vincent CIVITA is the ARIA NORMANDY Cluster Manager. In October 2016, he participated in the EU-IRAN Cluster Cooperation Matchmaking Event organised by the European Commission, Directorate-General for Internal Market, Industry, Entrepreneurship and SMEs, and coordinated by the European Cluster Collaboration Platform (ECCP). This mission was a great opportunity to meet more than 10 Iranian organisations and to establish very good and fruitful contacts with them. “I would like to mention that, during the matchmaking encounters and the visits on site, we enjoyed an excellent welcome and got the feeling that there was a genuine interest for our cluster. It is remarkable that despite a fully-booked matchmaking agenda there was a dozen of other Iranian organisations requesting to meet me”, says Vincent CIVITA. 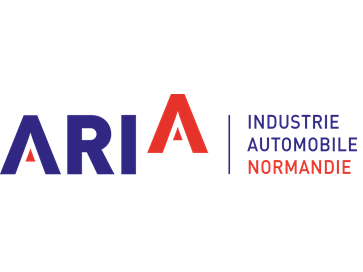 Building on the success of this event, Aria Normandy organised, in collaboration with the French Federation of Automotive Parts providers (FIEV), a new mission for the cluster automotive SMEs in Teheran in February 2017. The Iranian interest was essentially business-oriented, with a focus on the know-how in terms of quality and on production capacity improvements. The French business delegation was composed of some 30 companies, out of which 80% were SMEs. A couple of partnerships were also initiated on this occasion and shall be further developed in the coming months. Aria Normandy is organising a second mission with the FIEV in Iran during summer 2017 and for which preparatory activities are already ongoing. Overall, it is important to highlight that missions organized by the European Cluster Collaboration Platform are very important for the Aria Normandy Cluster as they consistently strengthen our internationalisation efforts. These events enable and facilitate new contacts with potential partners in countries that would most likely be out of our reach otherwise. The ECCP gives us the opportunity to become global players, to the benefit of our members. Our SMEs are encouraged to do (more) international business and we, at Cluster Manager level, feel encouraged to participate to new exciting projects.